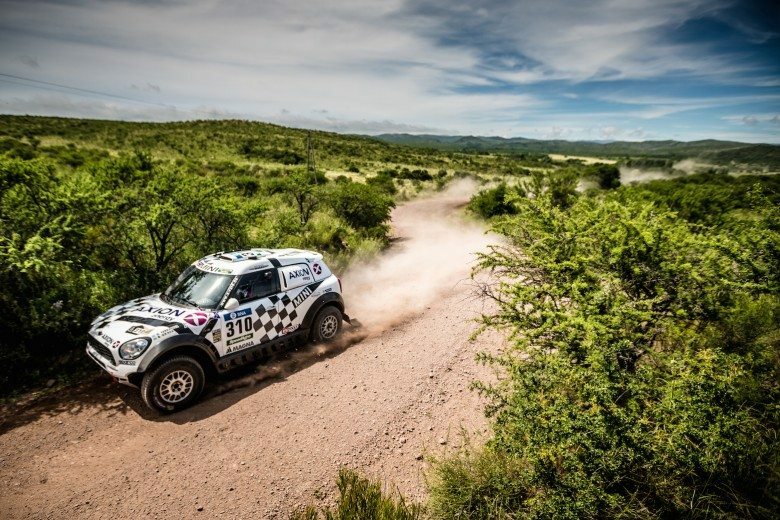 For the first time, the passion for racing can be enjoyed in combination with four-wheel drive. 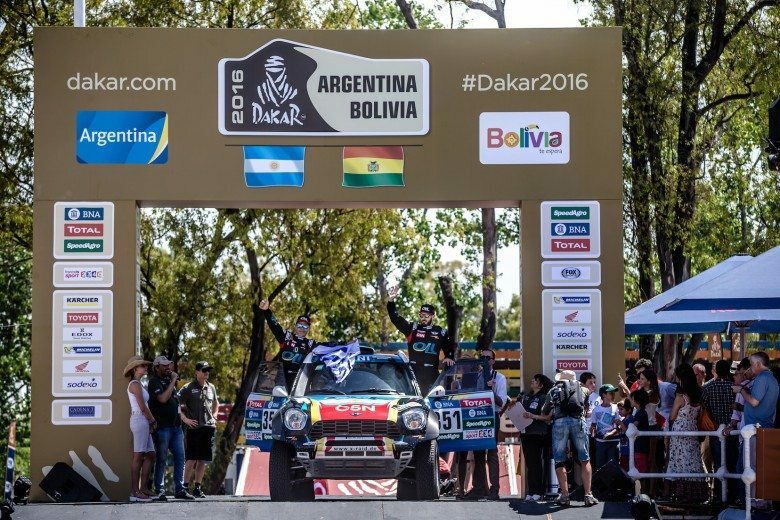 The MINI John Cooper Works Countryman, equipped as standard with the ALL4 all-wheel-drive system and powered by a newly developed turbocharged four-cylinder engine, lays on extreme driving fun on any terrain. 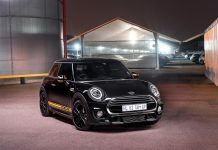 Together, its powertrain and chassis technology – developed on the back of extensive motor sport expertise – and the overall concept of the first MINI with five doors and four/five seats allow the hallmark characteristics of a John Cooper Works model to take the leap into another new segment. New generation of engines, unbeatable output, automatic gearbox available as an option. The latest-generation twin-scroll turbocharged engine features not only petrol direct injection but also variable valve management based on the BMW Group’s VALVETRONIC technology. The version of the 1.6-litre four-cylinder fitted in the MINI John Cooper Works Countryman develops maximum output of 160 kW, and its peak torque of 280 Newton metres can be increased to as much as 300 Newton metres for a short time using the overboost function. The sports exhaust system ensures that this impressive power delivery enjoys the soundtrack it deserves. Available as an alternative to the standard six-speed manual gearbox is an optional six-speed automatic. The MINI John Cooper Works Countryman requires just 7.0 seconds – in manual or automatic guise – to sprint from rest to 100 km/h on its way to a maximum 225 km/h (automatic: 223 km/h). However, the optimised efficiency of the engine and the array of MINIMALISM technology on board keep fuel consumption and emissions impressively low given the performance available. 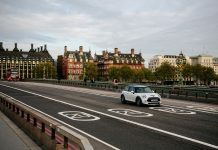 Indeed, the MINI John Cooper Works Countryman records average fuel consumption of 7.4 litres per 100 kilometres (automatic: 7.9 l/100 km) and CO2 emissions of 172 grams (184 grams) per kilometre in the EU test cycle. 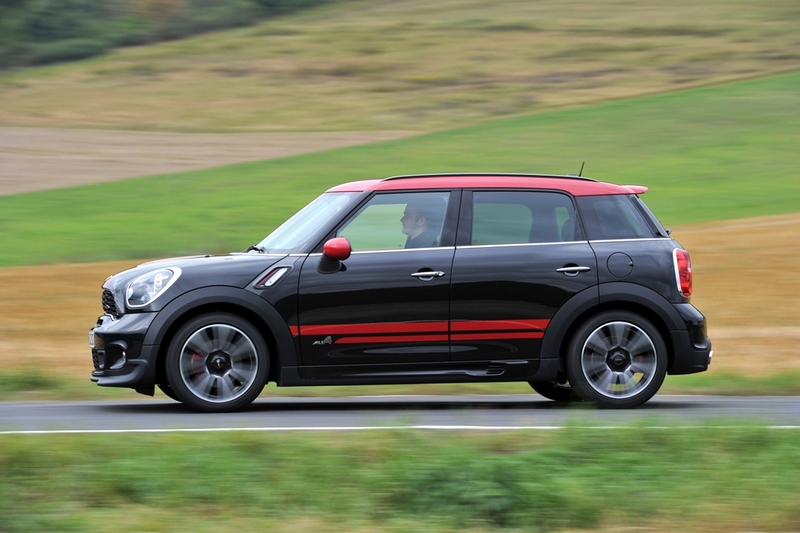 The first John Cooper Works model with all-wheel drive. The MINI John Cooper Works Countryman is the first member of this ultra-sporting family to channel its engine’s extreme output onto the road surface through all four wheels. Its ALL4 all-wheel-drive system distributes drive seamlessly between the front and rear axle using an electromagnetic centre differential. This means power is always sent to the wheels where it can be transferred most effectively into forward propulsion. 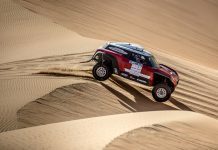 Standard equipment also includes 18-inch light-alloy wheels in Twin Spoke design, red brake callipers and sports suspension with firmly tuned springs and dampers, strengthened anti-roll bars and a 10-millimetre lower ride height. The DSC (Dynamic Stability Control) system includes DTC (Dynamic Traction Control) mode, while the standard Sport Button tweaks the engine’s responses and vocal character, and adjusts the power assistance provided by the steering. Unmistakable: four doors, large tailgate, standard-fitted aerodynamic kit, sports car ambience in the cockpit. At 4.13 metres in length and with four doors and a large tailgate, the MINI John Cooper Works Countryman is equipped to deal with anything life in the urban jungle – and beyond – can throw at it. And it does so in an inimitably sporty manner. The standard aerodynamic kit, for instance, gives the new John Cooper Works model eye-catching looks and optimises the flow of air around its body. 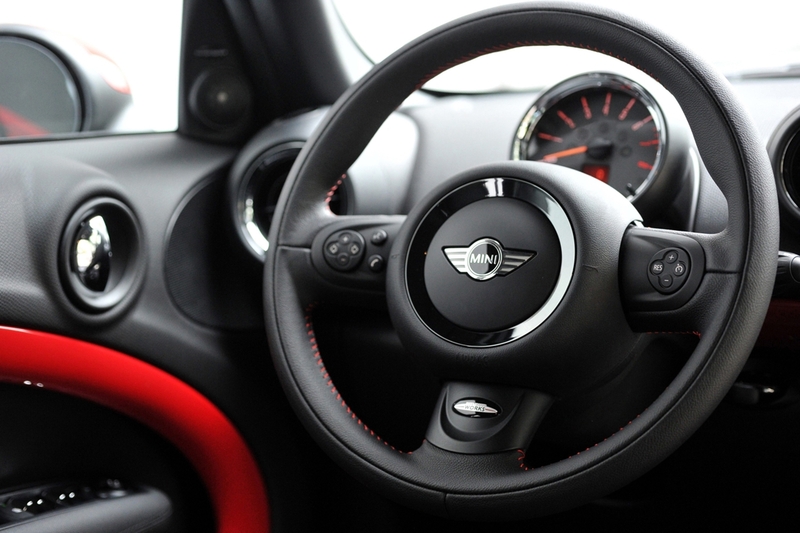 Customers can choose from a selection of seven exterior paint colours, while the contrast paint finish for the roof and exterior mirror caps is offered in a shade of red available exclusively for John Cooper Works models, as well as white and black. Inside the car, the impressive practicality of the MINI Countryman concept is laced with sporting flourishes. The rear compartment offers a seat bench for three passengers or – as a no-cost option – two individual seats. The rear seats can slide fore and aft in a 60 : 40 split (if the three-seat bench is specified) or individually, and their backrests can be adjusted for tilt or folded down. Folding the backrests increases boot capacity from 350 litres to a maximum 1,170 litres. Bespoke sports seats, a sports steering wheel, Piano Black interior trim strips, an anthracite-coloured roof liner and dark speedometer and rev counter dials all help to generate a sports car ambience. Carbon Black Championship Red, and interior trim strips and Sport Stripes in Chili Red. 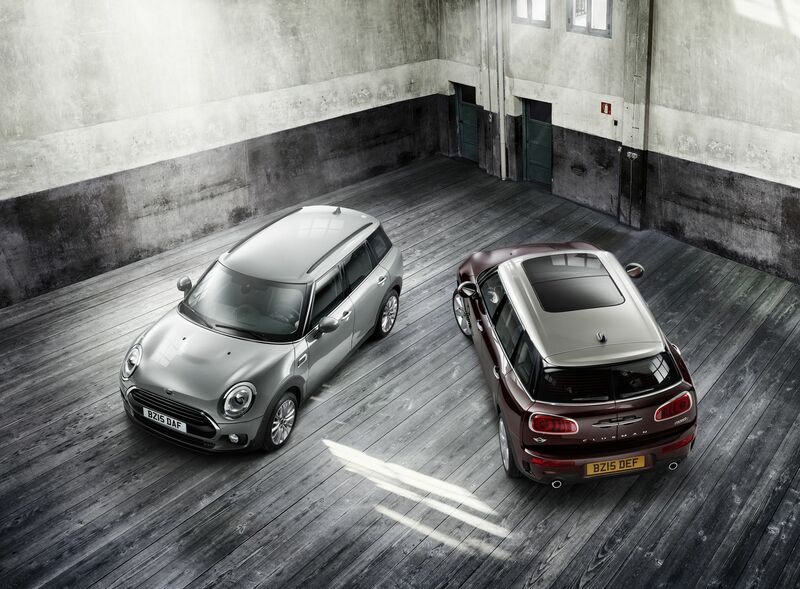 Air conditioning and the radio MINI Boost CD are both fitted as standard, but customers can also order their cars with all the comfort and individuality-enhancing options available for its MINI Countryman stablemates, as well as a full complement of MINI Connected features and bespoke John Cooper Works accessories.